Part 2: adopting the Paleolithic (Paleo) approach to eating (think ‘caveman-style’, meaning no grains, no dairy, no sugar, but plenty of protein, fats, nuts, seeds, and veggies/fruit). Part 1 was tough, especially for a carb-aholic like me. Jen wanted me to try to keep my carbs to 20g/day or less to put my body into a state of fat-burning ketosis. I think I managed about 50g of carbs/day, and still my body acted like I was in detox, complete with the shakes and the sweats. My brain was used to relying on the constant carbs/sugar that I fed it, and I was trying to teach it to use fat instead. But food quantity was unlimited, and I would increase my fat content if I started to feel really hungry. Each day got a little easier. I was still able to Crossfit and run, and I was already seeing visible results in how my clothes fit. For the last 5.5 months, I’ve been doing a modified version of Part 2 and the Paleo diet. I didn’t cut out dairy, I still have sugar in my coffee, eat dessert periodically, and drink wine or beer occasionally. But I’m completely wheat-free and I’ve changed my diet to really focus on protein and fat. That’s been the biggest shift for me- I base all of my meals around protein first, and fat second, and then veggies/fruit. And I can honestly say that I haven’t restricted myself at all in the quantity of food that I’m eating. I have lost 14 lbs. My bodyfat percentage has dropped almost 6%. Eat PROTEIN and FAT. Lots of it. For most of my adult life I’ve been stuck in the stereotypical-female-weight-loss routine of high cardio and a low-calorie, low-fat diet. Not anymore. Avoid wheat and other genetically-modified grains. I think I have a sensitivity to wheat that I was unaware of until now, and I think many others do too. Do you feel skinny in the morning and heavy at night? Guess what, that’s Wheat Belly bloat! Don’t buy food that has been altered to become ‘low fat’. Fat is good! And when food companies take the fat out of foods, they add in all kinds of unhealthy fillers. A diet shouldn’t be hard. If it’s hard, it’s not becoming your ‘new normal’. If it’s hard, it’s not becoming satisfying instead of depriving. If it’s hard, it’s not becoming a lifestyle. Nutrition is 90% of the battle, and exercise is 10%. Food is medicine. I feel so much better than I did six months ago; my energy is higher, I don’t get afternoon sugar-cravings, and no more uncomfortable, bloated feelings post-meal and at the end of the day. This entry was posted in General Health, Nutrition. Bookmark the permalink. This could not have come at a better time for me! After doing intermittent fasting & paleo for 6 months with guidance from Jen, with amazing results, the time has come for me to transition back to a normal eating schedule. 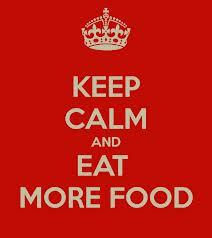 The thought of going back to “normal” eating gave me a bit of a panic attack after having such great success with I.F. … I actually couldnt sleep last night with all the questions in my head. “What if I get fat again? !” “What if this is the weight I’m stuck at? !” What if I.F. Is the only thing that works? !” Reading your article has pointed to the voice of reason and helped me calm down as I prepare my first, big, regular eating schedule breakfast! Thanks for posting! That’s great Bliss! And that’s what surprised me about this whole experience- it’s been a total shift in mindset for me- it’s not a ‘diet’, it’s making informed food choices, and those choices are much different than they used to be! I really enjoyed your blog a lot….Any recommendations for how a vegetarian can follow the Paleo diet? I eat egg whites but no other forms of animal or animal byproduct…. Hmmmmm that’s a tough one- definitely lots of egg whites, and then you’d have to get your protein from nuts, and if you keep dairy in your diet that’s extra protein as well. That’s been the key for me Shannon- reach for protein and fat food choices instead of all carbs all the time! Hi, Ash! I’ve often thought I should try eating like that, quite sure I would get rid of those symptoms too. I am a ‘sweet-a holic’ so would take a real mindset to change my habits! We are wheat/beef farmers so if I ate just like you, I would almost feel like a hipocrate!! Anyway I love my ‘beef’ and my wheat products, not to mention Chocolate, etc. I am really interested, Ash, to know what a ‘typical day’s food would be for you – where do you typically get your proteins and fats? Perhaps I could modify my diet somewhat. I feel/sleep etc. much better since you and the ‘Physio’ gave me these exercises, so now maybe it’s time to eat slightly ‘different’, although, I have tried to impliment some of that into my life already. Hope the kids are doing OK, would love to Skype with you sometime, feel like I haven’t seen them for quite awhile!! Keep up the blogs! Talk to Ya, xo Auntie C.
As you know I’m not a huge red meat eater, so that presents a challenge for me! But breakfast is typically eggs or a protein shake or yogurt/fruit, lunch and supper are usually chicken, salads, lots of soups/stews/chilis- I eat lots of avocados and lots of nuts/seeds (that I buy at Bulk Barn), olive oil/vinegar dressing, and I now do all of my baking with almond and coconut flour instead of wheat flour. A big change for me has been snacks- whereas I used to choose a granola bar or a muffin, I now choose boiled eggs, apple and peanut/almond butter, or cheese, nuts, etc. Thank you so much for posting this! I can relate to a lot of things you have described. I too was a carb-a-holic and suffered from body image issues. I was always trying to lose that pesky 10-15 lbs. After adopting a modified paleo diet (i eat dairy too) for the last 2 years or so, I’ve lost 5-6% body fat and have kept it off. All those fad diets and food deprivation never gave me the results. I”m happier, healthier, and never feel i’m depriving myself! And i eat TONS of food during the day. In fact, I get comments at work on my huge lunch bag haha. THanks for posting Ashley! And you look fantastic!! Thanks Lana, and so do you! The best part of this journey for me is that I see it as a long-term lifestyle change. I have not felt deprived or ‘dieting’ at all, and it seems my body has just naturally changed based on the fuel I’m giving it. No more counting calories for me!! !